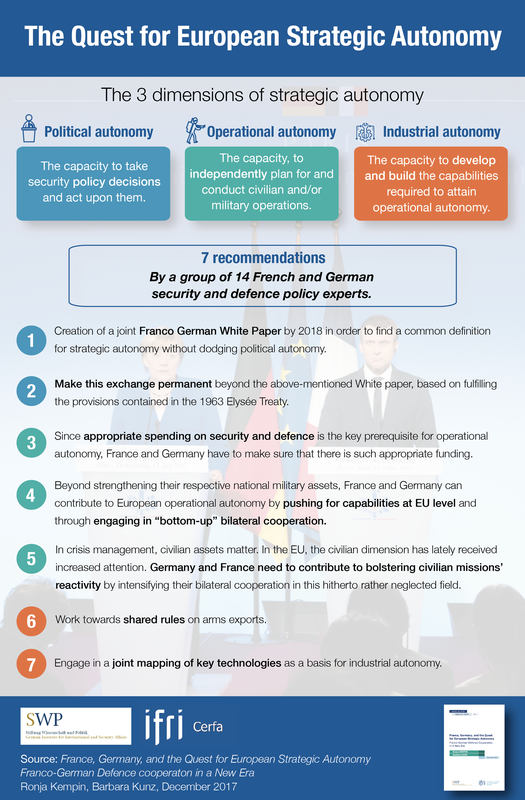 How can France and Germany contribute to reaching the goal of European strategic autonomy? This key question has been guiding the work with the present report. In the light of a more demanding security environment, but also a rare momentum for further European integration, Berlin and Paris have to take their security and defense cooperation to the next level, bilaterally as well as in the EU. Progress in Franco-German security and defense cooperation is a key step towards strategic autonomy with its three dimensions: political, operational and industrial autonomy. Political autonomy has so far been neglected in Franco-German security and defense cooperation. Past cooperation was almost exclusively linked to the operational, sometimes industrial levels. The new impetus needs to be embedded in a farther reaching political dialogue. This can best be achieved by elaborating a Franco-German White Paper on Security and Defense. At the operational level, the primary objective for Paris and Berlin is to enable Europeans to autonomously carry out the Petersberg tasks, as defined in article 43(1) of the Treaty of Lisbon. Nevertheless, the type of capabilities needed must be derived from a political analysis of the strategic environment and the threats posed. The same accounts for industrial autonomy where France and Germany should work towards closer cooperation and shared rules embedded in a political dialogue. With seven concrete recommendations, the paper aims to contribute to establishing strategic autonomy, starting at the bilateral level to provide leadership for an ambitious European project. Ronja Kempin, Senior Fellow, Research Division EU/Europe, German Institute for International and Security Affairs (SWP), Berlin. 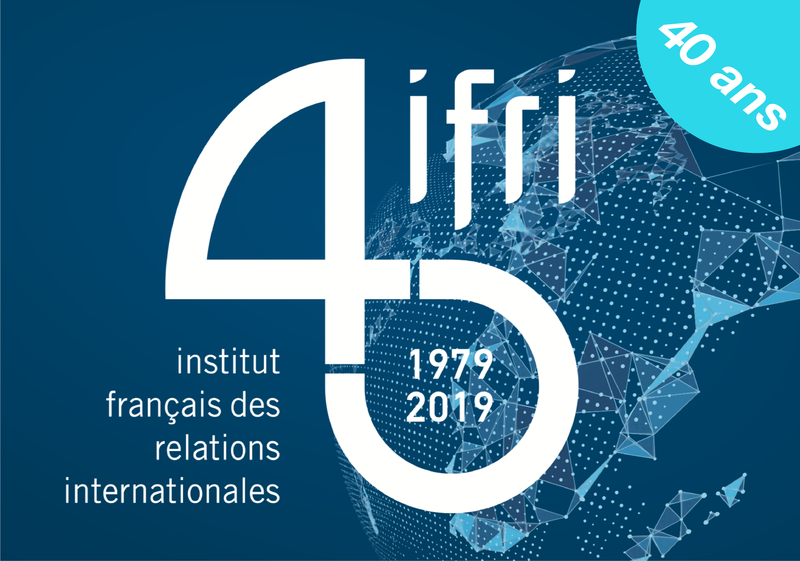 The recommendations in this report are the result of a joint project by the Institut Français de Relations Internationales (Ifri) and the German Institute for International and Security Affairs (SWP). Directed by the two authors, it gathered a distinguished group of French and German security and defence policy experts for three workshops in Berlin and Paris in 2016 and 2017. This report and its recommendations are based upon the group’s discussions. The list of participants can be found at the end of this publication.